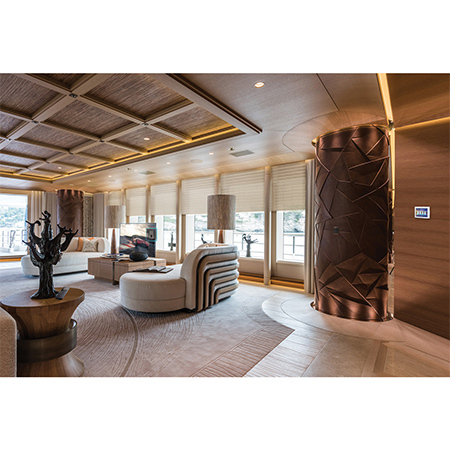 Crestron Electronics, a world leading manufacturer and innovator in the field of automation and smart controls solutions, have recently announced that they are to showcase their full range of luxury marine automation solutions. The company will be showing off their impressive selection of automation technology for super yachts at the 59th annual Fort Lauderdale International Boat Show, between October 31st and November 4th. Amongst the Crestron solutions on display in Fort Lauderdale will be products and systems which deliver complete control of video, audio, HVAC, and security from elegant remotes, keypads, and more. Crestron’s DM NVX Series space-saving AV-over-IP solution will also be on show to demonstrate its secure, high quality video distribution. Fully integrated lighting and motorised shading control solutions, including the brand-new Horizontal Sheers, created specifically for superyachts will also be on display. If you would like to discuss your requirements for Crestron marine or more general automation solutions please call us today on 0800 195 4825.